13 June 2017 It’s always amusing when the people who got us into trouble assure us they can get us out of trouble. It’s amusing, also, when they tell the poor that things will get better, someday, and always they speak with full bellies. Bertolt Brecht explained that a lot more eloquently. Before us, now, we have a Cabinet Minister, Malusi Gigaba, freshly risen from the gaudy comforts that surround him, telling us, the great unwashed, the toothless peons, the lickspittles and sycophants, all of us, that things will get better. If only we ignored the putrid stench of corruption, cronyism, prebendialism, avarice, greed, the sounds of crying, chests clogged with smoke along the Southern Cape, wells and dams that have run dry, and the never-ending ricochet of shots fired in the fields of Marikana. These, he tells us, are “sideshows”. What is important, ah so conveniently the truth can be sometimes, is getting the economy working again. Of course, he is right, but it is he, and his party loyalists, who got us to where we are. Mr Brecht gave us insights into this. The echoes of that other, “sideshow” are powerful; the truth about Washington’s secret and illegal war against the people of Cambodia from 1969 to 1973. Those other odious fellows, Henry Kissinger and Richard Nixon, treated Cambodia as a sideshow. They claimed that secretly bombing people in Cambodia was necessary, and tried to deflect the truth: that the bombings spread the conflict, and led to the rise of the Khmer Rouge and the subsequent massacre of a third of Cambodia’s population. In a review of Kissinger’s White House Years, William Berman cut close the bone. Like the old dog Kissinger, when Gigaba speaks, I quiver. I laugh, also, sardonically, whenever he speaks. 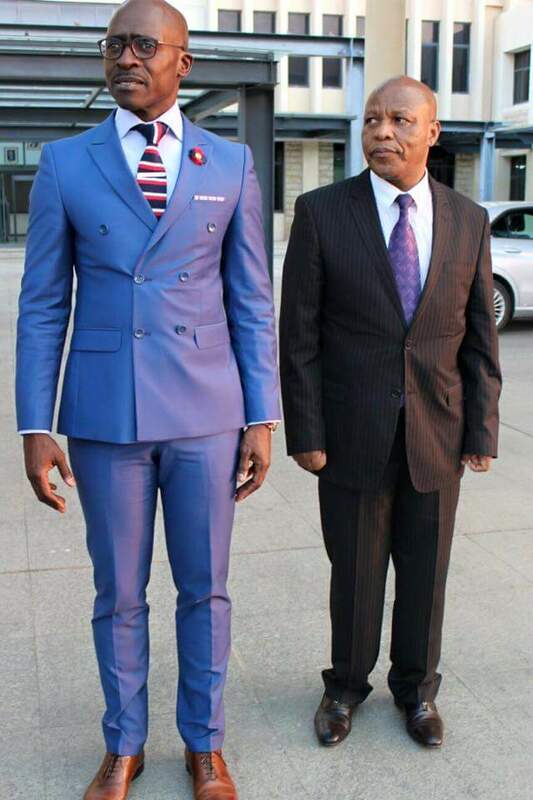 The minister is a bespoke-tailored fellow. He will have nothing to do with that standardised and quite tasteless clothes of utopian inelegance; that prozodezhda is not his style. Clothes are not for wearing, it is for making ideological statements. Some people rise to the task before them, others remain in its shade, and quite unable, themselves, to cast a shadow. There are a few marvellous passages from The Fool, by Gilbert Chesterton, that really sums up the fellow, Gigaba. Where, you might ask, does all the wisdom come from? Surely that which he spews is mere frippery. It is, at best, lexical legerdemain; he knows how to arrange words cutely. Like a swaddling infant he speaks in sentences that only he can understand. He is like those among us who can recite passages of script in Latin, Hebrew, Aramaic, or Arabic, but really have no idea what we are saying. We know, only that we are the voice of our god. Gigaba is unimaginative, unoriginal, uncreative, and complete in his mediocrity. Everywhere he goes there is that “powerful and obnoxious odor of mendacity” and “There ain’t nothin’ more powerful than the odor of mendacity!” Big Daddy Pollitt reminded us, in Richard Brooks’ Cat on a Hot Tin Roof. The only value of his life is his own value, projected, as Mr Chesterton said, a bit too gentlemanly to be a gentleman. Nietzsche’s last man is incapable of shame, he is the shame. Like a camel, he cannot see the hump on his own back. The sideshows tell us more than the main attraction, to which our attentions are forced.